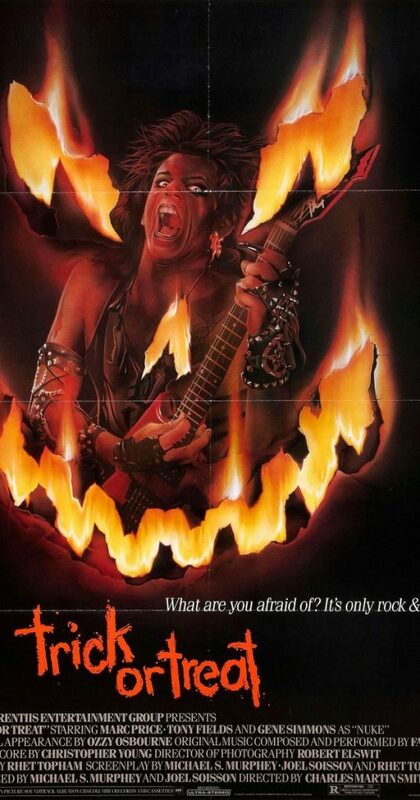 Not to be confused with the far better film “Trick R Treat,” this heavy metal horror film may not be the best VHS tape on the shelf, but it sings with 80s charm – a throwback to a time when horror didn’t take itself so seriously. And in addition to a decent soundtrack, there are also a couple cool cameos of a young Gene Simmons and Ozzy Osborne. This entry was posted in and tagged heavy metal, Horror, ozzy ozborne, podcast, trick or treat. Bookmark the permalink.